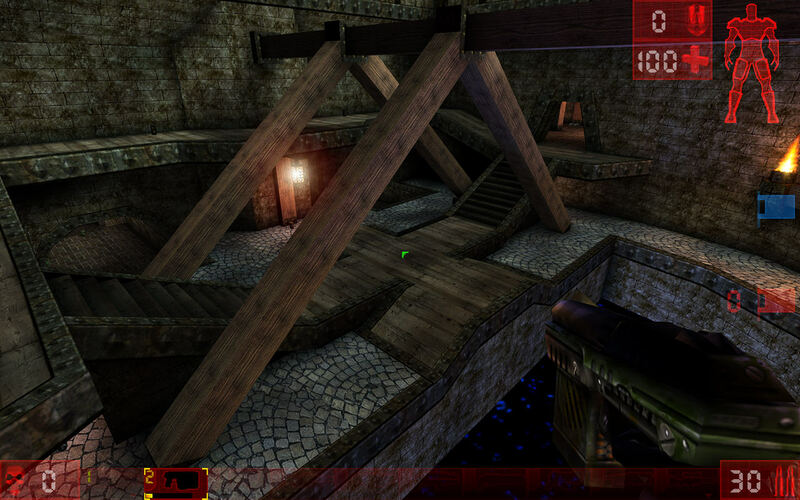 I started working on a remake of my UT3 CTF map called CTF-Austere. I plan to follow the old layouts and features for the most part, but will make some changes where I feel like they're a good addition to gameplay. 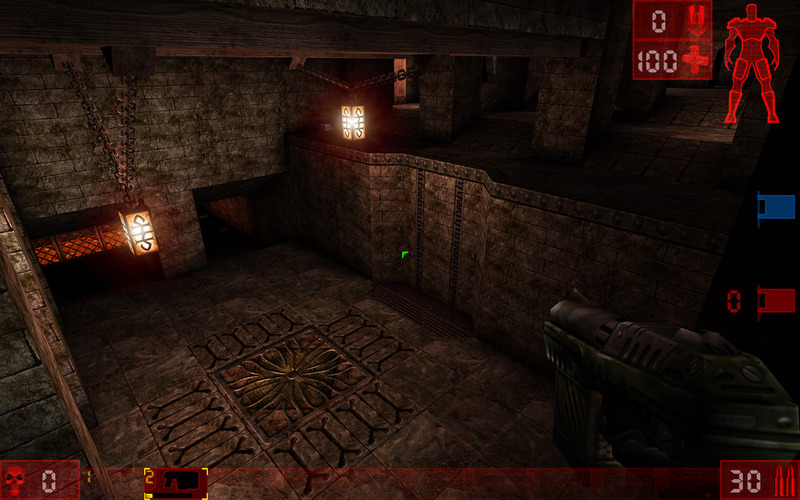 The UT3 version theme was an urban factory, and with Austere99 I went Nali Castle merged with DM-Barricade. Having some trouble mixing UE1 and UT1 textures as the quality of some assets is quite low. I have the general layout shell done and started working on detailing. I also added bot pathing so I can playtest it. Last edited by ojrask on Sun Dec 03, 2017 1:50 pm, edited 1 time in total. Interesting to see that someone is recreating a map from a newer UT version. 'Have seen this only vice versa in the last years. Looks good! Yes more pics please. Did you use the ed command for the paths.....? That is some weird placement. SilverSound wrote: Did you use the ed command for the paths.....? That is some weird placement. Nope, inserted by hand. The bots seem to work fine (apart from a few xloc positions) so will keep them like that for now. I need to Google what that "ed command" is. I'll try to gather some imagery tomorrow. Thanks for the replies all. I continued with detail brushes and lighting today, damn HOMM keeps popping up out of nowhere where you least expect. I also need to finetune some of the light/lantern textures so I can get a cooler lighting for the blue base, right now the lanterns are all quite warm so players might have a hard time figuring out which end of the map they're in. I browsed through this Mapping forum and saw quite interesting stuff, e.g. static meshes and all that jazz. 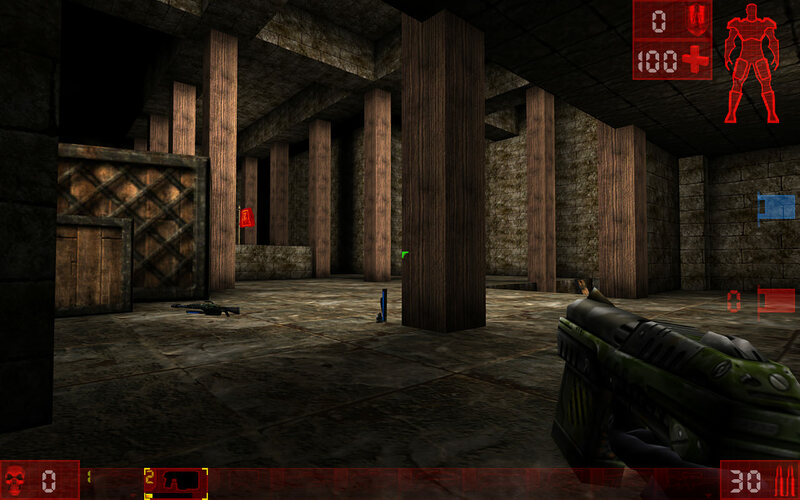 My plan is to make this map a tribute to the original 1999 release with the tools at hand in the base game editor. Will need to try out those SDKs and stuff people seem to be using. The "ed command" Silver mentioned is the nasty and borked automated pathing system in the UEd2.0 No sane mapper should use it. Path your map by hand and everything is alright. Thanks for the clarification papercoffee. The map is still either undetailed or a bit dark. The middle area is somewhat done, apart from some detail work on the walls and on the skybox boundaries. 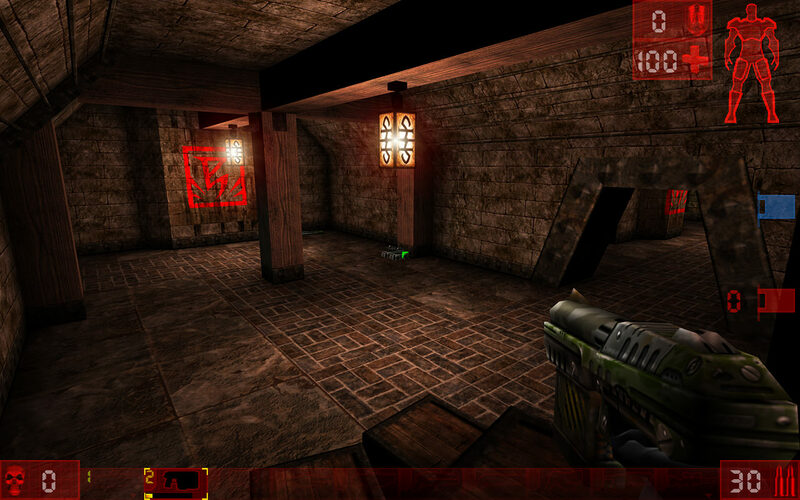 The gameplay elements are in place, though I'm still reconsidering some of the weapons. Mostly because the Ripper is an "extra" which was not present in the UT3 version. A new element which was not in the UT3 version is a dodgeslidejump from the waterways (lowest path from lift to base) which allows players to sneak to the flag, unless they make the mistake of picking vials which trigger audio. Let me know if the images don't work or if you want better screenshots of certain areas. I'll see if I can upload the UNR file somewhere this weekend. Only the last three screenshots are not viewable. But what I can see looks very interesting. Can you see these direct links? I have been super super busy with work, life, and other hobbies so I haven't had any time to work on this for a while. Hopefully soon! I uploaded the current alpha version so folks can check it out in game. Loads of work to do but the main layout is pretty much there. Botpathing works and offline play should function OK. I have used only stock assets but be sure to let me know if there are assets missing which prevent the map from loading. These screens make me wanna open UEd again. Hmhm, good job.